One of the great side-effects of being a wildlife photographer is the ability to help conservationists and researchers with their work. 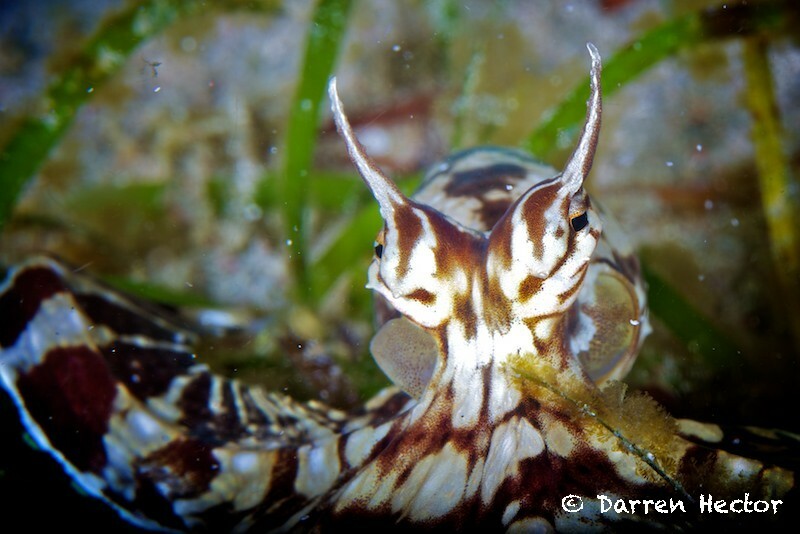 As I’ve mentioned before the Wonderpus is a newly recognised species and researchers are trying to find out more about them, their movements and habits and as photographers we can help with that. 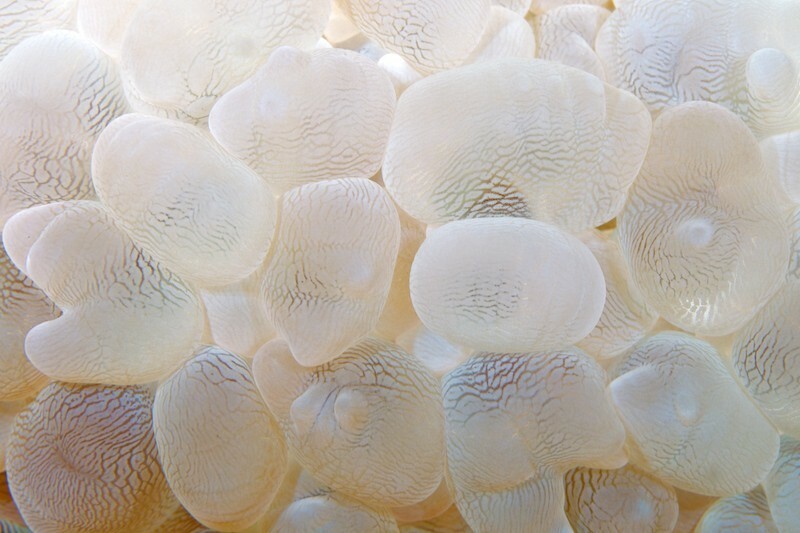 Each Wonderpus has its own unique pattern of spots and stripes which will make the research slightly easier as the activities of individuals can be monitored. 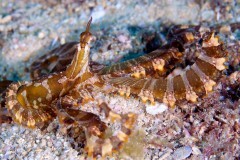 As this continues the researchers will be able to identify and recognise the behaviour of specific creatures. It will be interesting to see if there are certain personalities or traits that are specific to individuals, and if they recognise each other. So, meet one I’ve named Barry, the joker in the pack who’ll do what he can to flummox the researchers! Posted on Friday, December 17th, 2010 at 8:02 pm. 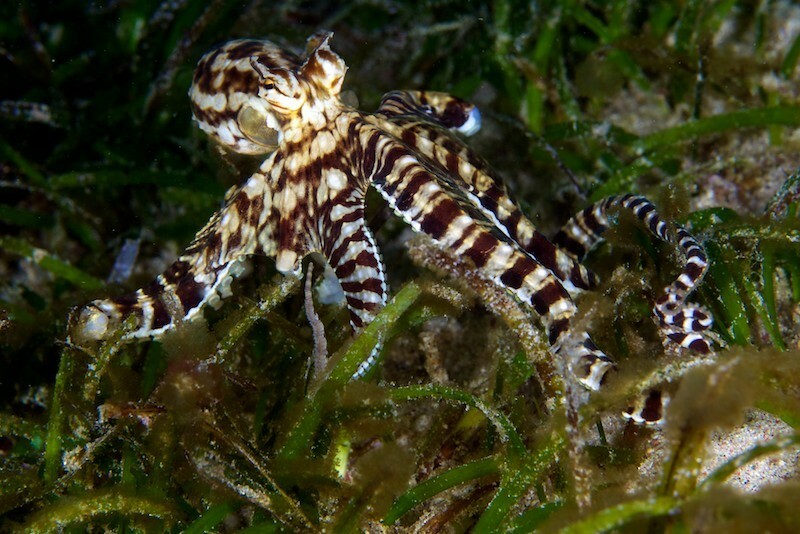 Filed under: Underwater Tags: Asia, octopus, Philippines, research, sand, sea, seagrass, wonderpus	RSS 2.0 feed.